In less than a week 30,000+ runners will undertake one of the most difficult marathons in the world when the 122nd Boston Marathon takes place. It is hard not to be inspired by these people but for the majority of people a jog around the Charles River might be all you can commit to. For those of you who may be looking for an excuse to be more active, I wanted to suggest checking out the Boston Frontrunner’s chapter. 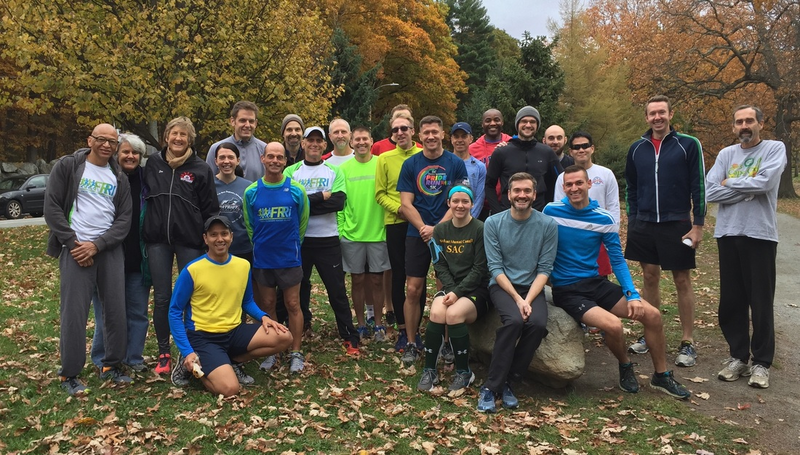 This club meets each week and has a social element following their Saturday runs, which gives you the chance to get to meet and connect with others. Do not worry about needing to be some amazing runner to keep up. Different distances are available for you to choose what is best. For more information about Frontrunners Boston, visit them on the web at www.frontrunnersboston.org or check out their Facebook page at, Frontrunners Boston. This entry was posted in Fitness, gay club or team and tagged BosGuy, Boston Guy, Fitness, Gay. Bookmark the permalink.